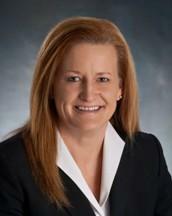 Partner Cynthia A. McKedy | Anaya McKedy P.C. As a former prosecutor, Ms. McKedy supervised and trained new deputy district attorneys. During her tenure as deputy district attorney, Ms. McKedy successfully tried over a dozen homicide cases. As a defense attorney, she has been able to utilize all of her trial skills and knowledge to procure great results for her clients. Ms. McKedy handles all levels of felony cases and misdemeanors cases. She is aggressive and knowledgeable and strives to achieve the best outcome. All cases cannot be resolved through the plea bargaining process, which is why you may need an attorney who is skilled in all aspects of criminal litigation. At the law office of Anaya-McKedy, P.C., in Colorado Springs, our attorneys are committed to providing aggressive, effective defense of felony, DUI/drunk driving, domestic violence and other criminal charges while giving clients the personal attention and service they deserve. Address: 615 South Weber St.